A 17" x 10" vintage style RV camper cotton/linen throw pillow. Works great for vacation homes. Kids room or anywhere you want. 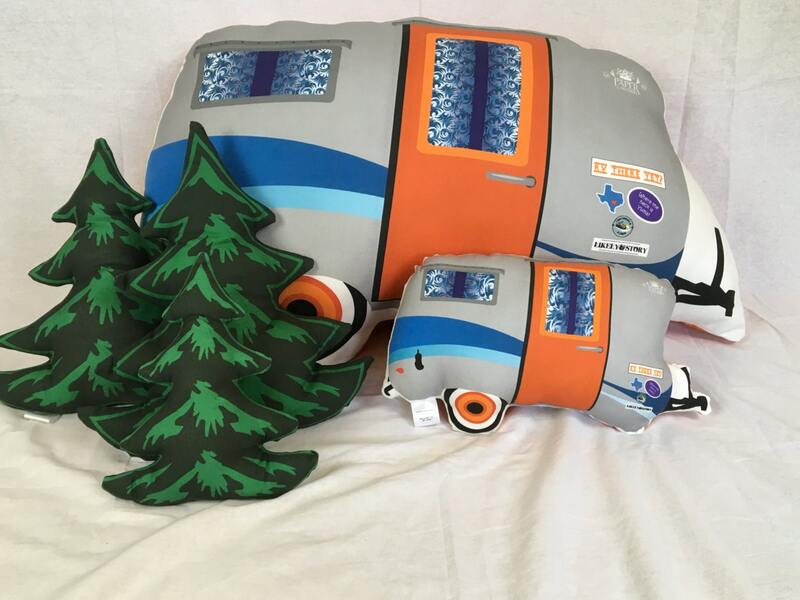 The pillow is filled with 100% polyfil. The design is an original design by me and printed with Eco-friendly ink by Spoonflower onto sturdy cotton/linen fabric. 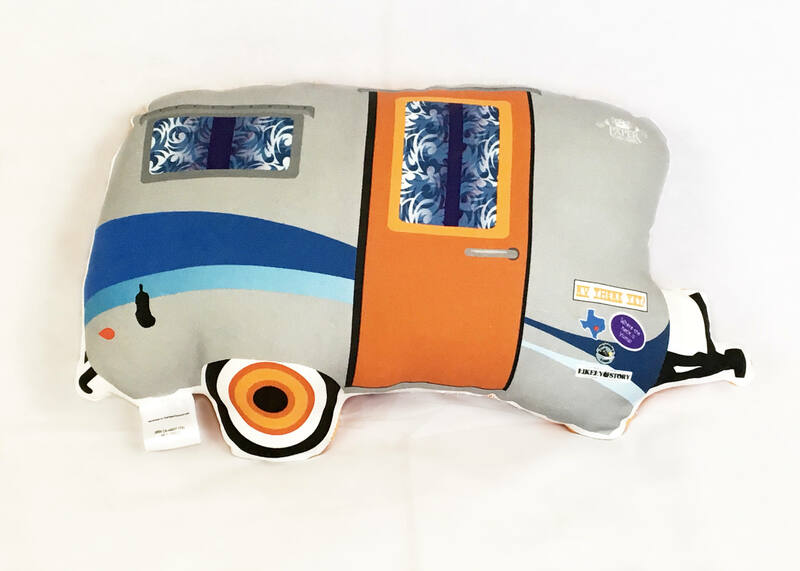 This camper is also available in a floor pouf pillow (see separate listing). The fabric is cut, sewn and stuffed by me. Be sure to check out the coordinating fun throw pillows. There are trees, s'more and campfire. My son also paired his wolf with it.